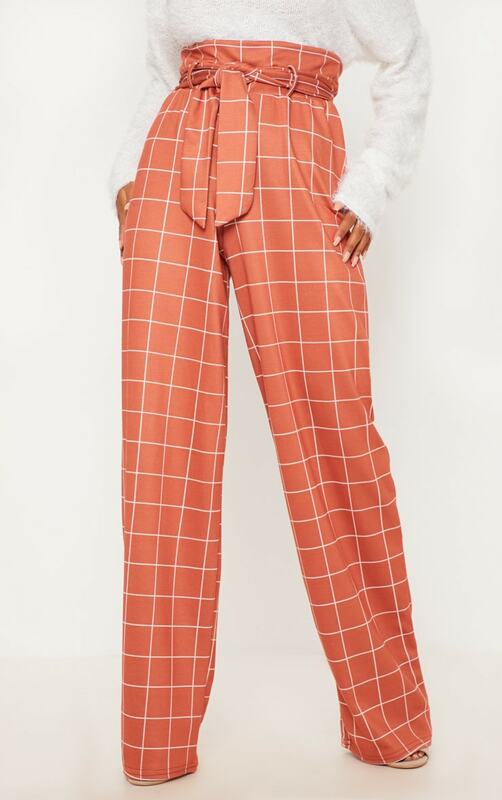 Check prints are essential this season. 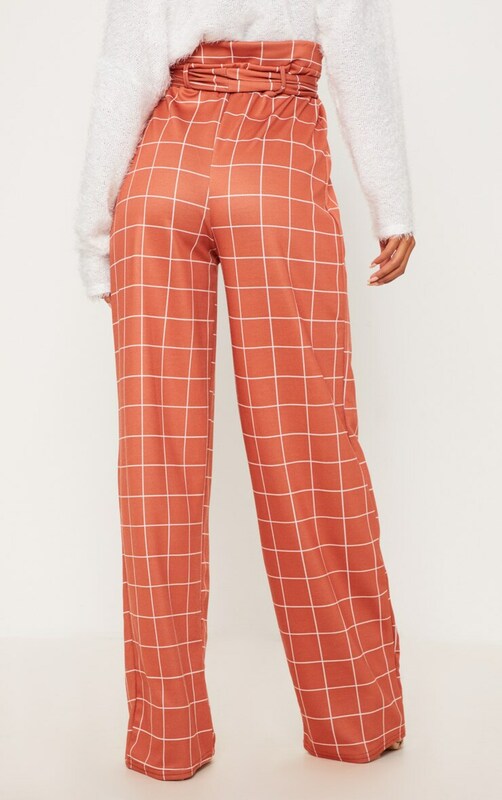 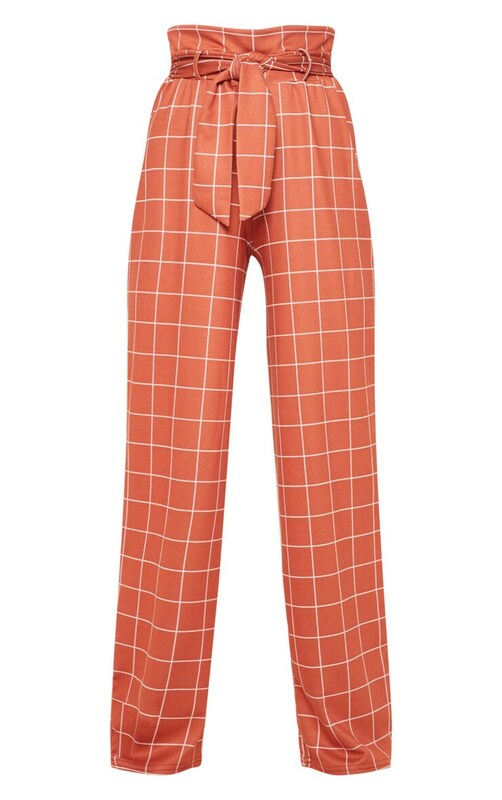 These pants feature a rust check print fabric, paperbag tie waistline and a wide leg fit. 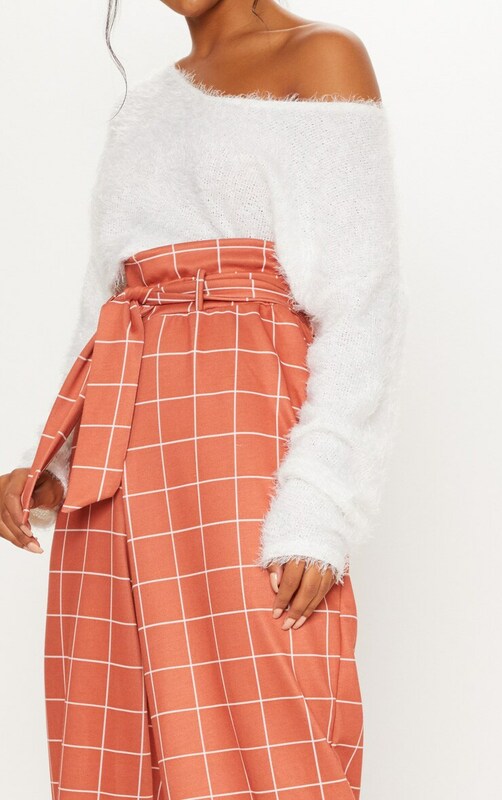 We love this teamed with an off-shoulder sweater and heels to add some luxe to your look.